It’s rare to come across an album that you simply cannot stop listening to, or more infrequently, an album that you know will become a classic staple in your iTunes playlist. Well, clear out some space on your iPod, because Jukebox the Ghost’s self-titled album is out on October 21st, so you’re going to need the room. 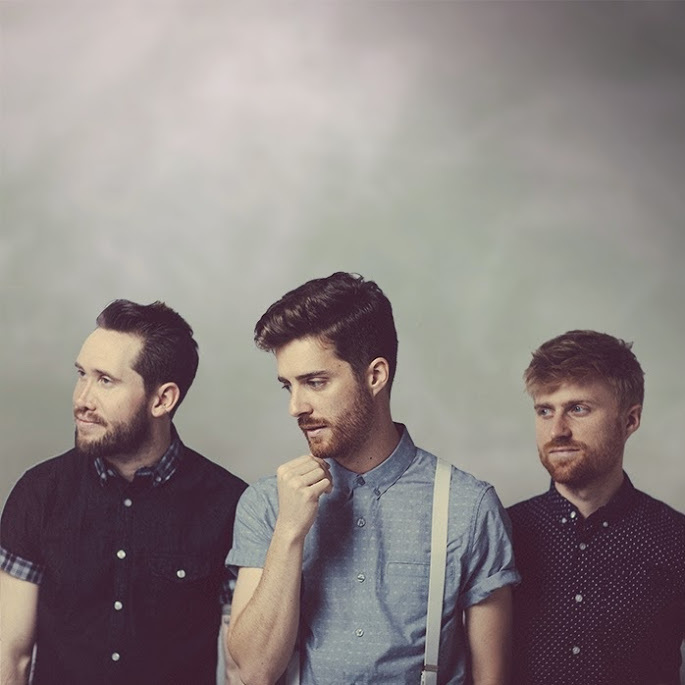 Jukebox the Ghost is their fourth studio album, following 2012’s Safe Travels. Their prior albums have certainly had their strong points (who wouldn’t enjoy songs pondering the Apocalypse in Let Live and Let Ghosts or the trio’s exploration of mental illness in Everything Under the Sun? ), but Jukebox the Ghost is easily their best yet. The eleven-track album takes listeners through a series of heartfelt and infinitely relatable vignettes that, while laden with heartbreak, have an undeniably positive, even anthemic quality. “The Great Unknown,” the album’s first single, could be the theme song for any twenty-something (or really anyone for that matter). The pianist and sometimes-vocalist, Ben Thornewill, croons that “there’s a thousand voices saying/the time is now, so let go/you’re on your own.” The track touches on the universal fear of the unknown, but puts an upbeat spin on it. You should embrace the limitless possibility in the unknown, Thornewill sings, because it’s great—both vast and amazing. Thornewill also lends his voice to “Girl,” another thought-provoking track that despite acknowledging the pain of past relationships, welcomes the start of something new. He sings, “girl, you’re going to take me/back to a time when I loved and I meant it/girl, you’re going to save me” to a suitor who he imagines could make all of his past heartache worth it. “Long Way Home” is by far the album’s most dynamic track, with Thornewill and Tommy Siegel (vocals and guitar) ably harmonizing over Jesse Kristin’s drums. Driven by a mix of disappointment and nostalgia, Siegel sings, “one day further down the road/with full grown children of your own/if I pass by you on a busy street/will you remember me?” It’s one of the album’s more mournful topics, yet Kristin’s build up on the drums maintains a lively, catchy vibe throughout. It’s hard to not tap your foot to it, despite the subject matter. Jukebox the Ghost ably tackles some weighty subjects, such as ending a failing relationship (“Made for Ending”) or reluctantly starting a new one (“The One”), but it never falters from its infectious, energetic sound or its positive outlook. You’d be hard-pressed to find a song that you don’t relate to—or dance to.